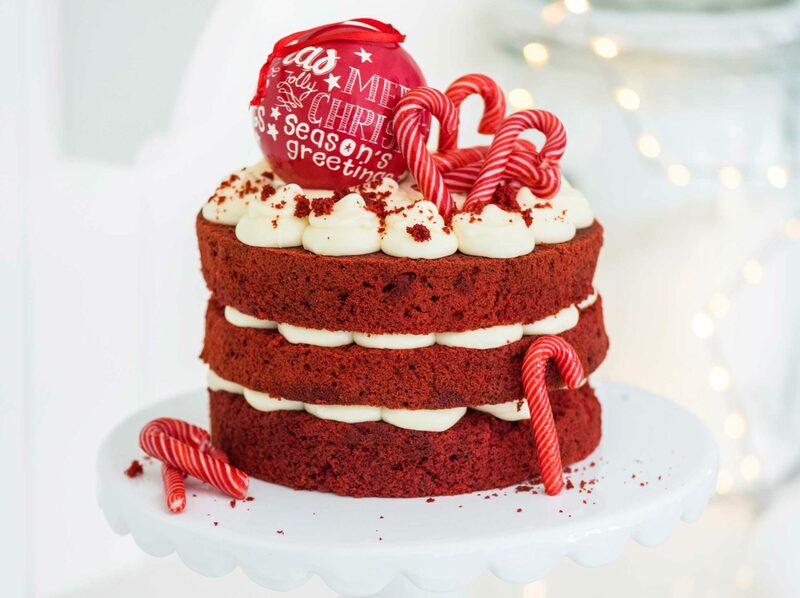 Wow your guests with the delicious Red Velvet Candy Cane Cake this Christmas, guaranteed to leave everyone wanting for more. Add to Shopping List +	 Add Candy Canes for decoration once done. Cream the Stork and castor sugar until light and fluffy – about 8 minutes. Add the eggs one at a time, beating well between each addition. Add the cocoa powder, food colouring and vanilla and mix well. Sift together the flour and salt and add this to the creamed mixture, alternating with the buttermilk. Mix the vinegar and bicarbonate of soda together then add this to the cake mix and mix well. Divide the batter between the cake tins, smooth the top of each cake and bake for 30-40 minutes or until springy to the touch and a skewer inserted in the middle comes out clean. Allow the cakes to cool for 10 minutes then turn them out on a cooling rack. Prepare the frosting by creaming together the Stork Bake and icing sugar together until light and fluffy – about 8 minutes. Add the cream cheese ad mix until just incorporated. Add the vanilla extract. Place the frosting in a piping bag fitted with a plain nozzle. Once the cakes are cool, level off the tops (save the cake crumbs), then start assembling the cakes by piping blobs of icing onto each layer and stacking them on top of each other. 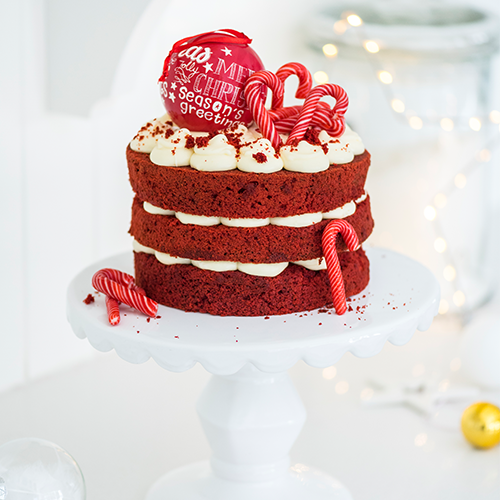 Finish the cake with blobs of icing, press the candy canes into the top, sprinkle with the crumbled up leftover cake and serve.